NOAH AND THE FLOOD, MOSES AND THE BURNING BUSH, THE EMPTY TOMB …. Inspiring stories within the Bible. 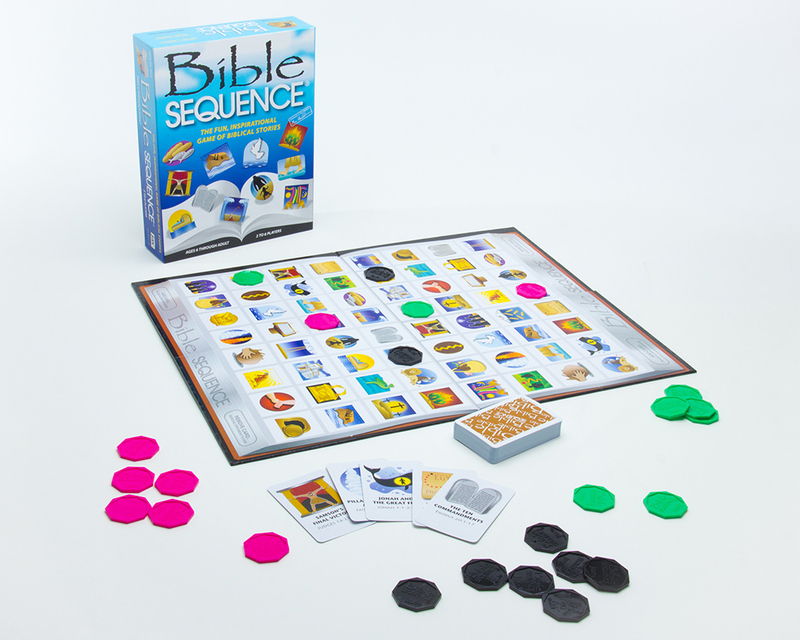 Now children and adults can learn about the Old and New Testament as they play the fun game of SEQUENCE. Pictures representing Bible stories are displayed on each card and the gameboard. The cards also include a story title and scripture reference. Players match the picture on a card to the same picture on the board, then place their chip there. Five chips in a row wins the game! It’s the fun, challenging game of BIBLE SEQUENCE.